Stuff, Things, etc. : Last day for Pumpkin Swap sign-ups! Last day for Pumpkin Swap sign-ups! 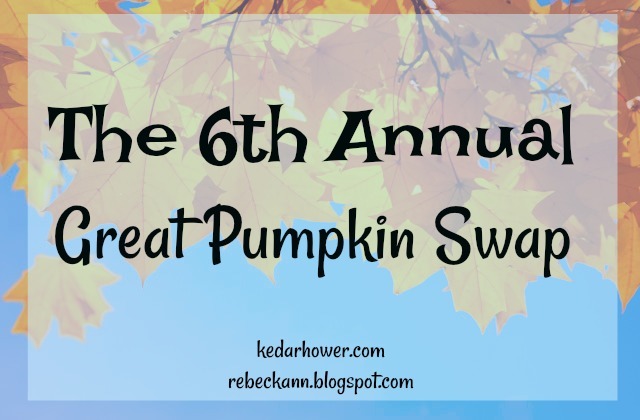 Just popping in to remind you that today is the last day to sign up for the Great Pumpkin Swap! Here is a link to all things pumpkin-swap past if you want to see what it's all about. And who knows how blog search features *really* work...these are in no particular order...Pumpkin Swaps of the last 5 years. It's a 3-day weekend for me, but I've got three days worth of driving, unpacking, grading, cleaning, and so on to do. Partners for the swap will be emailed out on Monday! So excited. Have a great weekend. I'm so excited for this!!! Have a great weekend, friend! Super excited for the swap. Hope unpacking is going well!